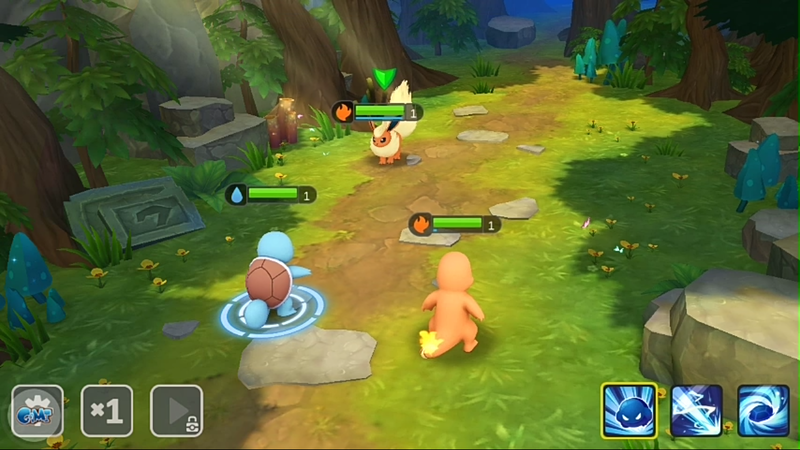 This brand new Pokemon game original name is Mon Research. This totally fun loving game. This game is totally based on original Pokemon and the graphics of this game is amazing. There are many Pokemon games for android devices but this game is totally different from them because this game concept is different from other games. But this game is not officially launched for android but you can download and play it now for your own android devices link is giving to the end of this article. 1. Collect your Pokemon for a build ultimate team. Hundreds of Pokemon available! Collect all types of cute Pokemon on your island. 2. Engage in Pokemon League. All player will compete in one league! Defeat all player to become the Champion! 3. Decorate your Pokemon Island. Various building and decoration available. Build your island with Pokemon and buildings. Make a unique island! 4. Strategize your team. Remember the monster types. Upgrade the right skills. Make a key move in the stages and PVP battles! Pass all the stages. The secret of Iskra land will finally reveal. Collect the monsters and become the champion. You'll find the truth of Iskra. Mon Research file size 500MB to 600MB. So, make sure your internet data minimum 1GB for fully download this game. And it is very easy to play make sure after downloading this game you can register in the three-way first guest, second game account and third facebook account login option is available for this game. In my way, Facebook is the easy way to log into this game. After log in this mainly game guide features tell all the details of this game. After login we get first three Pokemon free when I was started I got Charmander, Squirtle, and Balbasure. After getting this three Pokemon we can participate in the battle. You also equip your Pokemon to make more power. And you can also evolve and train up and many more things we can do in this game. But one thing is negative in this game from my side that is energy only 35 energy point is there when energy is over then you can only purchase or wait a bit little longer. It is very easy to download this game but this game is available on for Android devices. If you have an android device then what are you waiting for Click Here download. 1. After Click In The Link then you must wait for 5sec then click get a link in that page. 2. After downloading is complete then install ZArchiver to extract this file. 3. After extracting is complete make sure your unknown source is enabled on your device. 4. After that simply Install this apk and enjoy. If you have any question then you can ask in the comment section.